(Derby, 25. March 2019) We at DB ESG are aware that keeping our staff members hydrated will aid them to perform at their very best throughout the work day. 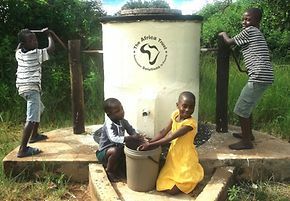 To date AquAid have built over 8,000 such Elephant Pumps across parts of Zimbabwe, Malawi and Liberia; and have donated in excess of £14 million to charity.